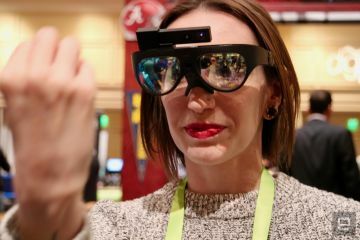 LAS VEGAS and BASKING RIDGE, N.J. – The operator of the fastest, most advanced 4G network in the United States unveiled a suite of 10 consumer-oriented devices that will run on its 4G LTE network by the middle of this year. 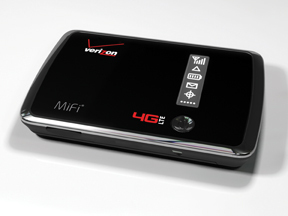 At a news conference at the 2011 Consumer Electronics Show (CES) today, Verizon Wireless announced a suite of 10 forthcoming 4G LTE devices – including smartphones from HTC, LG, Motorola and Samsung; tablets from Motorola and Samsung; a MiFi from Novatel Wireless and a mobile hotspot from Samsung; and two notebooks from HP – which will transform the wireless experience and offer consumers new ways to connect and share their lives at blazingly fast speeds. 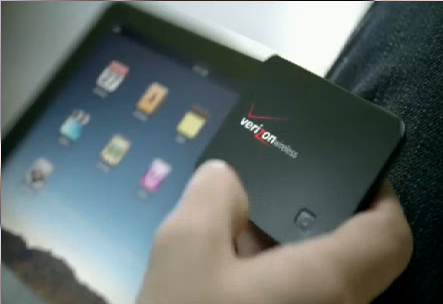 Verizon expects these consumer-oriented devices to be available by mid-2011, with some available as early as March 2011. The company also announced it is expanding its 4G LTE network to an additional 140 markets by the end of this year. 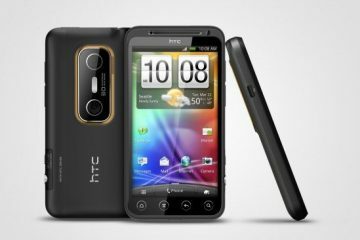 · HTC ThunderBolt (exclusive to Verizon Wireless) – HTC Sense 2.0, Skype mobile™ with video, 1GHz Snapdragon processor, 4.3” WVGA display, Dolby surround sound, 8-megapixel camera and HD video recording, wireless DLNA capability. 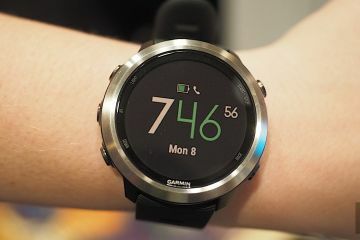 · LG Revolution – HD support for streaming, playing and recording video, large 4.3-inch touch screen, Android™ 2.2, video telephony support with front-facing camera and mobile hotspot capability to share a 4G connection with up to eight Wi-Fi-enabled devices. 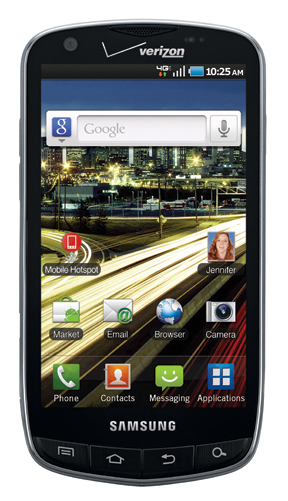 · DROID Bionic 4G – Android with Adobe® Flash® and HTML5, front-facing VGA camera and See What I See video feature, rear-facing 8-megapixel camera, 4.3-inch HD quality screen, HDMI connectivity dual-core 1GHz processor, 512 DDR2 RAM. 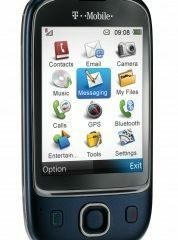 · Samsung 4G LTE Smartphone – Android 2.2, Google Mobile services, including Google Search™, Google Maps™ and Gmail™, YouTube™, brilliant 4.3-inch Super AMOLED Plus touch screen display, powerful 1GHz application processor, HTML5 Web browser, rear-facing 8-megapixel camera with LED flash and front-facing 1.3-megapixel camera to support video chat capabilities, Samsung Social Hub and Media Hub. 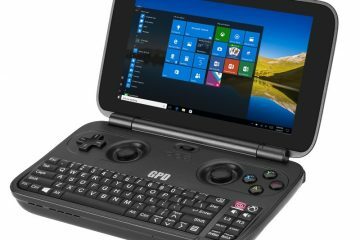 · Motorola XOOM – 10.1-inch HD 4G LTE upgradable tablet, Android™ Honeycomb, 1080p HD video, Adobe® Flash® Player, front-facing 2-megapixel camera for video chats and 5-megapixel camera to capture video in 720P HD. 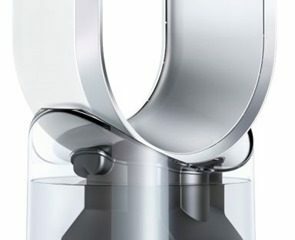 Mobile hotspot capability provides connection for up to five Wi-Fi-enabled devices. 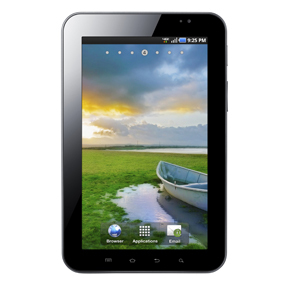 · 4G LTE-enabled Samsung Galaxy Tab™ – 7-inch enhanced TFT display with 1024 x 600 WSVGA resolution, Android 2.2, Adobe® Flash® 10.1, 1.2GHz Cortex A8 Hummingbird application processor, rear-facing 5-megapixel camera and front-facing 1.3-megapixel camera and camcorder enable video chat capabilities. 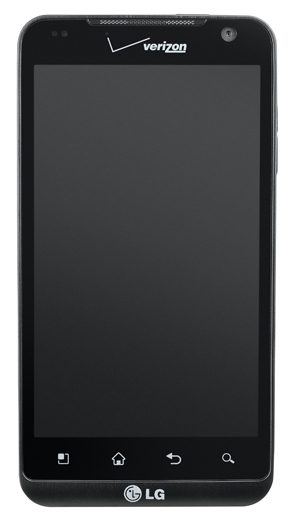 · Novatel MiFi® 4510L Intelligent Mobile Hotspot – Small enough to fit in the palm of the hand, share Verizon Wireless’ 4G LTE and 3G networks with up to five Wi-Fi-enabled devices. 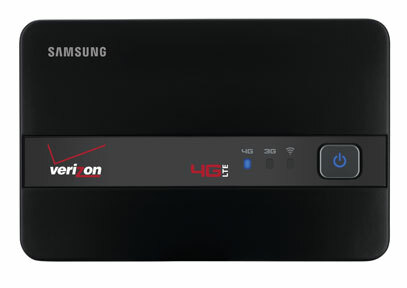 · Samsung 4G LTE Mobile Hotspot – Dual-mode device works as a wireless access point to connect up to five Wi-Fi-enabled devices to Verizon Wireless’ 4G LTE or 3G networks. 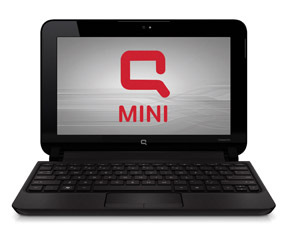 · Compaq CQ10-688nr – 10.1-inch diagonal anti-glare widescreen LED display, Intel® Atom N455 processor, up to 8.5 hours of battery life, multi-format digital media card reader, webcam and multiple connectivity options. 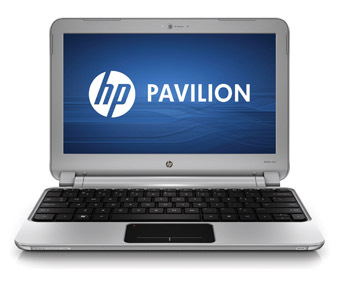 · HP Pavilion dm1-3010nr – 11.6-inches, HP CoolSense Technology, HD 1080p, VISION Technology from AMD, up to 10.75 hours of battery life, 320 GB of storage, full-size, island-style keyboard, multi-format digital media card reader, HDMI port, Dolby Advanced Audio and GPS for mapping and navigation. Verizon Wireless also introduced new applications that are being fully integrated into the new smartphones and run seamlessly over the 4G LTE network. An upgraded version of Skype mobile takes advantage of video capabilities enabled by 4G LTE’s incredible speed, allowing users to see and hear friends and family when making or receiving Skype-to-Skype video calls. EA’s ROCK BAND leverages the high-speed, low-latency 4G LTE network to provide the next generation of multiplayer gaming. At launch, this will be the first time the game can be played with friends over the mobile network, which means consumers can rock out with their friends like never before with 20 favorite hits – while on the go. Since its launch 32 days ago, Verizon Wireless’ 4G LTE network has provided laptop users with speeds up to 10 times faster than the company’s 3G network. In real-world, fully-loaded network environments, laptop users experience average data rates of 5 to 12 megabits per second (Mbps) on the downlink and 2 to 5 Mbps on the uplink. Verizon Wireless’ primary 4G LTE network vendors, Ericsson and Alcatel-Lucent, are providing the underlying infrastructure for the 4G LTE network. 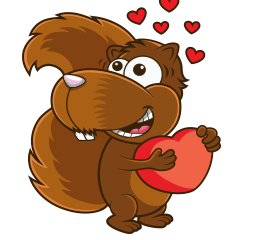 Verizon Wireless’ 700 MHz spectrum gives the company specific advantages with 4G, including improved in-building penetration and a contiguous, nationwide network footprint. Verizon Wireless is also working with rural companies to collaboratively build and operate a 4G network in those areas using the tower and backhaul assets of the rural company and Verizon Wireless’ core 4G LTE equipment and premium 700MHz spectrum. Rural operators are leveraging Verizon Wireless’ scale for infrastructure while they keep their customers on the cutting edge of technology. Bluegrass Cellular is the first rural wireless provider to partner with Verizon Wireless, and to date, more than 200 organizations have expressed interest in collaborating with Verizon Wireless to bring 4G LTE to rural America. 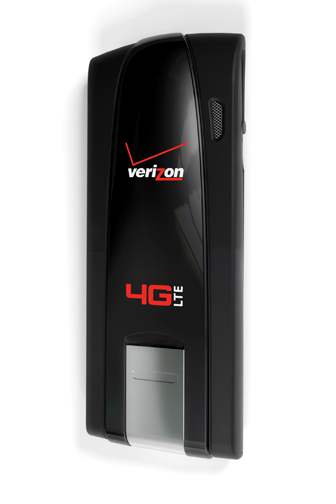 Since 2007, when Verizon Wireless jump-started the global 4G LTE ecosystem with its selection of LTE for its 4G technology, the company has developed deep partnerships to spearhead a broad LTE ecosystem, including the LTE Innovation Center in Waltham, Mass., and an LTE Applications Center, soon to open in the San Francisco area. 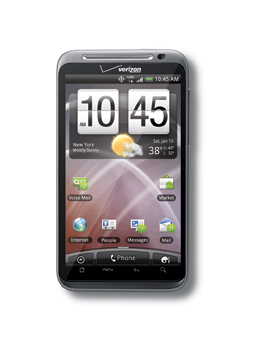 To see the Verizon Wireless smartphones page see here.